Whether you're just looking to optimize the management of your catering operations, or you're ready to pour gas on the fire with our full suite of catering sales and marketing systems, we've got the perfect plan to grow your business. Includes all the features you need to effectively manage your catering business and grow your sales. a custom branded online ordering site for doubling your profits. marketing systems, VoIP calling, a delivery manager, and BEO templates. View your reminders, calls, meetings, proposals and catering events in a traditional calendar view. Our experienced team guides you through the software and marketing systems, so you and your team will get up-and-running quickly and effectively. 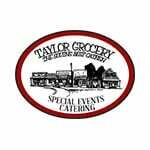 We also help build your catering operations and branded design elements. Our software has integrated built-in modules to boost your catering sales and marketing. Includes printing, addressing and postage. No minimums. "I booked $121,678.23 in repeat catering sales the past few days! It's so easy to do using all the marketing tools."